This is NOT a sponsored video. Making travel experience video is a passion of mine. 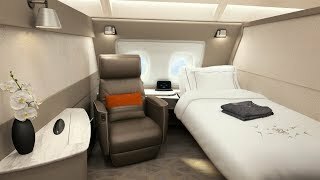 Join me on this video to discover why Singapore Airlines A380 has the BEST and BIGGEST First Class Suite. **WIN A GIVEAWAY** Win an exclusive Singapore Airlines First Class Lalique Amenity Kit by entering from the lucky draw link below: https://gleam.io/CY3dG/singapore-airlines-first-class-lalique-amenity-kit-giveaway Blog Post https://samchui.com/2018/05/12/review-singapore-airlines-new-first-class-suite/ Music That Feeling by HookSounds http://www.hooksounds.com/ Creative Commons — Attribution 4.0 International — CC BY 4.0 https://creativecommons.org/licenses/... Music promoted by Audio Library https://youtu.be/nRRDmrJ8YTs ------- Join us as we travel from Singapore to Hong Kong in style and luxury in Singapore Airlines’ brand new Airbus A380 first class suite. We start at the exclusive first class check in area of Changi airport in Singapore and we’re bowled over by the professional and courteous nature of the staff who work seamlessly and efficiently to get us through check in and immigration control and in to the first class lounge in less than five minutes! Changi airport has been rated as the best airport in the world by Skytrax for seven consecutive years since 2013 and with the service we received, it’s not surprising to see why! We receive an exclusive invitation to the private room which is the flagship first class lounge of Singapore airlines. It is ultra exclusive and private with top class, restaurant style a la carte and buffet dining, large screen televisions and extremely comfortable seating. It even has a shower suite for first class passengers to freshen up before their flight! Come with us and see inside the magnificent Singapore airlines private room and all it has to offer – we also examine the exquisite food, and the service to go with it, provided in the private room. 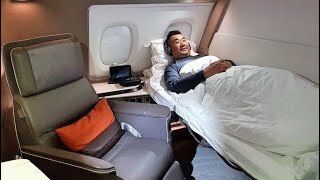 We’ve already been pampered and enjoyed significant luxury but what lies in store for us on board the Airbus A380 of Singapore Airlines is incredible! Our first class suite on board the aeroplane is very spacious and we are greeted with a choice of vintage champagnes – Krug 2004 or Dom Perignon Vintage 2009. The first class suite is so big and so private that you don’t even have to go to the bathroom to get changed in to your complimentary, soft pyjamas and slippers! We take an in depth look at the long haul amenity kits provided by Singapore airlines, which are handcrafted by Lalique in men’s women’s and unisex varieties. We see the great attention to detail that has been paid with perfumes, hand creams, moisturisers and lip balm all being provided as well as a precious Lalique glass ornament to keep and cherish. We also take a good look at the sophisticated food and drink served on board, brought directly to us at our own personal table within the first class cabin, expertly laid at our request by the stewardess. We are treated to a selection of exotic fruits as an appetiser, iced milo, lobster thermidor and for dessert, a scrumptious and expertly presented mont-blanc cake with ice cream. 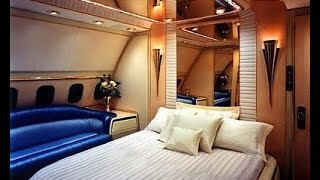 The first class cabin’s furnishings are no less impressive with movable lights, a seat which wouldn’t look out of place in Stat Trek, giving complete control over all of the cabin’s functions, including the blinds and a bed with proper mattress and super soft linen and padding. 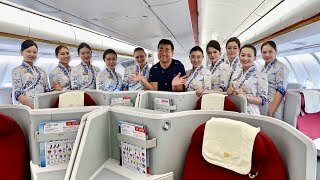 Overall, as we arrive in Hong Kong, we are well rested, well fed and ready for a lot more fun in Hong Kong, which is where I, Sam Chui, first developed my love of aviation and I discuss this with the cabin crew during the video. Stepping off the plane, we are greeted by the Silver Kris Lounge of Hong Kong international airport and in case you didn’t have enough to eat on your flight, you won’t be wanting with the fabulous choice of both western and Chinese food available including the famous Wonton noodle soup. So come with us from Singapore to Hong Kong on the A380 with Singapore airlines and enjoy all they have to offer – what, in your opinion, was the best part of the trip? Let us know in the comments and, as always, thanks for watching! Xin chào các bạn. 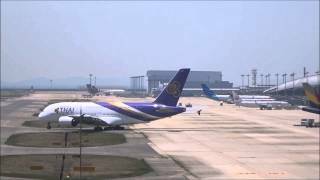 Lại một chuyến bay nữa và lần này Travip sẽ trải nghiệm chuyến bay với Vietnam Airlines trên hạng thương gia từ Osaka (Nhật Bản) về TP.HCM. 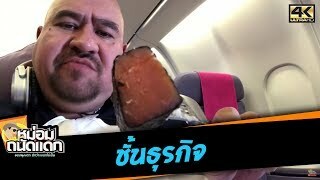 Chuyến bay hứa hẹn sẽ có nhiều trải nghiệm thú vị khi Vietnam Airlines vừa đưa vào sử dụng bộ dụng cụ suất ăn phong cách Nhật Bản từ ngày 15-7 trên các chuyến bay đi các Tokyo Haneda, Narita, Osaka, Nagoya, Fukuoka. 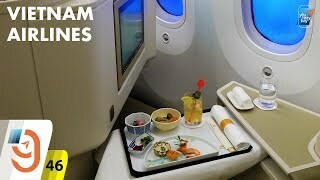 #vietnamairlines #boeing787 #businessclass Liên hệ: [email protected] Trang web: http://www.yeumaybay.com Fanpage: https://www.fb.com/yeumaybayvn Instagram: @yeumaybay ĐỪNG QUÊN NHẤN SUBSCRIBE NHÉ CÁC BẠN! Do not reupload! Nếu các bạn có thắc mắc gì hãy gửi câu hỏi cho chúng tôi vào comment bên dưới hoặc inbox trên fanpage của Facebook. Yêu Máy Bay Vlog, chương trình về hàng không phát vào Thứ 3, Thứ 4, Thứ 5, Thứ 6, Thứ 7 và Chủ Nhật hàng tuần trên kênh YouTube Yêu Máy Bay và trang web www.yeumaybay.com. Chương trình do các thành viên Yêu Máy Bay dẫn dắt với nhiều thông tin thú vị liên quan đến hàng không, du lịch và dịch vụ liên quan. Отдельный купе для пассажиров первого класса, бар и душевые кабины - это все Аэробус А380 авиакомпании Эмирейтс. list includes Emirates, British airways, Qatar airways, Lufthansa, Jet airways, Turkish airlines, and Virgin Atlantic. what do you think of this list? Let me know what your favourite airline meal. Please like share and subscribe for more awesome videos. Look Inside World's Most Expensive And Biggest House - Antilia | Top 10 Interesting facts about the Ambani Residence - Antilia Subscribe https://goo.gl/eSqEEO Living in the most expensive of areas in a never ending mansion replete with all the amenities you can dream of; surrounded by a staff running to cater to each of our whim. Wake up, the bubble of your impeccable imagination just burst! Welcome back to the reality, that’s not your home but such a place, actually exists. Don’t believe us? Allow us to guide you towards a peep into Antilia, the mesmerizing abode of the richest man of India! 10. The only home 9. Distinct designing 8. Extra heights 7. Comfort traveling 6. Affluent Neighborhood 5. Luxury amenities 4. The extra step 3. Unbeatable hospitality 2. Energy efficiency 1. Best of both worlds See More Related Videos : https://www.youtube.com/watch?v=z74BIYrJkzI https://www.youtube.com/watch?v=7aER7qe6AGY https://www.youtube.com/watch?v=pDQeSoRAjuY 2 Minute Facts Social Media Pages http://www.Facebook.com/2MinuteFacts http://www.Twitter.com/twominutefacts http://instagram.com/2.minute.facts 2 Minute Facts videos on Top 10 facts, Origins, Biographies, Tips, How To’s, Reviews, Commentary and more on Pop Culture, Celebrity, Movies, Music, TV, Film, Video Games, Politics, News, Comics, Superheroes. Your trusted source of amazing facts. 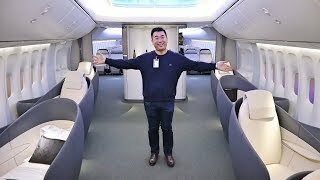 Join my Youtube Channel Membership at https://www.youtube.com/channel/UCfYCRj25JJQ41JGPqiqXmJw/join Video of Malaysia Airlines A350-900 flight from the cockpit and behind the scenes. 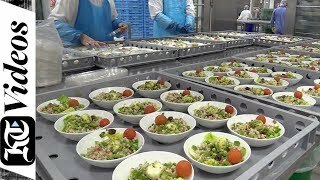 Documentary video of the entire Malaysia Airlines A350-900 delivery flight from flight operations point of view. 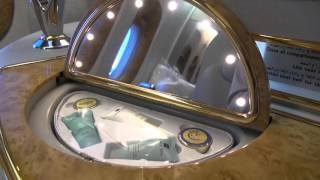 Flight review of Emirates First Class in the 777 aircraft on a flight from Dubai to Adelaide. 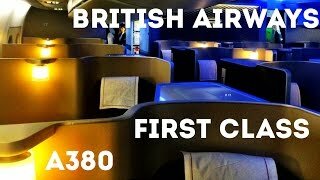 The Emirates First Class product is the same in both its Boeing 777 and Airbus A380 aircraft - however I think the 777 First Class product is the better one - watch this video to find out why. 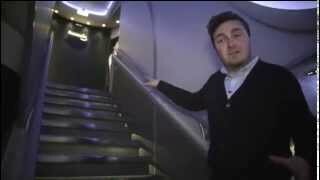 Review covers First Class Lounge in Dubai, boarding, in-flight service, first class seat/suite, the seat in bed configuration and in-flight dining. 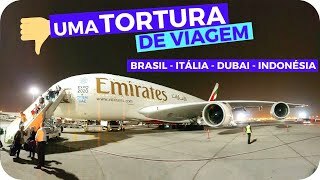 I hope you enjoy this video - check out my other flight reviews on DennisBunnik Travels. 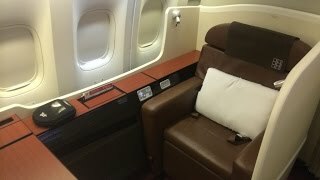 My Hainan Airlines Business Class experience on their 0.5 years old A330-300 from Sydney to Haikou. In-depth review of Hainan Airlines business class service and products. From Bangkok to Dubai, Emirates A380 flight EK375 First Class, nice flight, with a very efficient crew mindful crew. Etihad has an impressive First Class product, but something felt off. What Happened On This Flight: https://www.youtube.com/watch?v=3xAeAfAURoE INSTAGRAM: http://instagram.com/thenonstopdan PAID: 56,250 miles + $137 (GOT-AUH-MCT) SOCIAL MEDIA: Twitter: https://twitter.com/thenonstopdan Facebook: https://www.facebook.com/nonstopdan Google+: https://plus.google.com/+dantorp11/about My camera gear - Big camera: http://geni.us/nonstopcanon80d GoPro: http://geni.us/nonstopgopro GoPro mount (put it anywhere): http://geni.us/nonstopgekkopod Wide angle lens: http://geni.us/nonstopwideangledslr Zoom lens:http://geni.us/nonstoptamron Clip microphone: http://geni.us/nonstopsonymic FAQ: Airline: Etihad Airways, EY Aircraft: Airbus A380-800 Reg: A6-APG Flight number: EY20 Route: London - Abu Dhabi Airports: London Heathrow Airport to Abu Dhabi International Airport Flight date: June 7, 2018 Seat: 3K (First) Contact for general questions and business inquiries: [email protected] ———————————————————————— Music: Etihad Boarding Music Animations by JanTube: https://www.youtube.com/channel/UCncvsetg0_6SDADlbeVbFrQ ———————————————————————— ***I’m an Amazon affiliate and may earn a commission on select purchases - thanks for using my links and supporting me! :)*** This video and its sound is protected by YouTube copyright and any unapproved use in other videos will be reported. 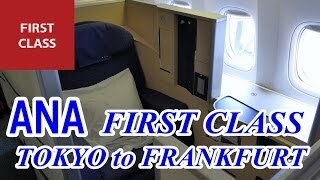 Japan Airlines's first class is one of my favorite first class products. As with all Japanese airlines the service is refined and elegant from the lounge to the end of the flight. The crew on this flight were extremely passenger oriented and proactive. They anticipated our needs and did frequent checks in the cabin to see if we needed any refills or food. Despite the long flight, their attitudes remained cheerful and perky which I really find amazing since it is so easy to get exhausted on long haul flights. I really appreciated one particular FA who spent a lot of time chatting with me and getting to know me. She offered Japan Airlines branded gifts to take home which was a nice personal touch. There are some changes I noticed on this flight since my prior first class trip 2 years ago. There is no longer a cloth Loewe amenity kit. The amenity kit is now by Porsche Design and the products has been trimmed in quantity and quality (Hainan Airlines offers a better stocked kit). The pajamas were a limited edition also by Porsche Design available from March - June 2017. From the moment you walk into the lounge you are welcomed by a staff member who personally go over the details of your trip and help inform you of any gate changes. You are then welcomed into the lounge by another staff member who follows to your seat and brings you a hot towel and a drink. The lounge in the main terminal has a sushi bar, which has a limited selection of freshly made sushi. The food buffet was plentiful and had lots of very tasty dishes, however I did find the food in the ANA suite lounges to more interesting and delicious. I personally enjoy JAL's seat much more than ANA's boxy Suites. It is easier to view out of the window and if you are traveling with someone, the aisle seats are also more conducive to conversation since you are literally boxed in in ANA's seats. The food onboard is definitely an experience. Everything was beautifully presented. The flavors were very interesting. The caviar course was not accompanied by the usual sides. Rather the rice wafers and the egg yolk cream formed a unique savory flavor which when mixed with the salty caviar was truly a unique and tasty combination. The desserts were especially good including the lychee yogurt sauce and the condensed milk ice cream. It wasn't as overpoweringly sweet as expected but fruity, refreshing, and creamy. Overall, this was a perfect first class flight with excellent service from the ground to the air and delicious food at every minute. I especially appreciate the effort the crew put into their service. 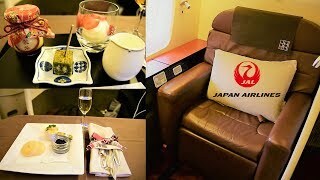 I honestly can't wait to fly with Japan Airlines again.